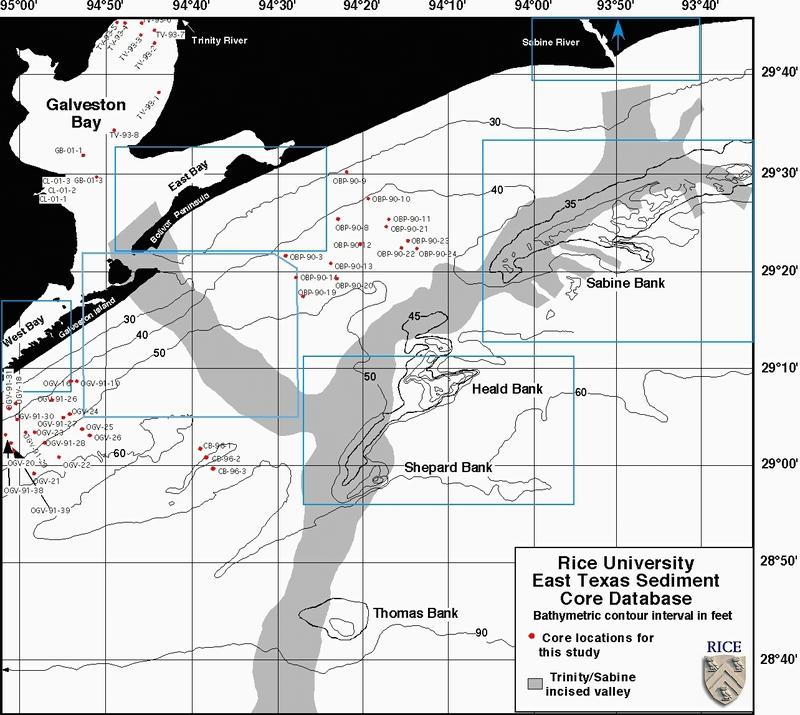 The Rice University Coastal Research Group is working to compile information about sand resources along the East Texas coast. This work is funded by the Texas General Land Office Coastal Issues office and administered through the University of Texas Bureau of Economic Geology. Visitors can click on a core location on the map and pull up lithologic logs of each core. Detailed particle analysis has been done on key cores. This data is available by clicking on the area of the lithologic log of each core. The East Texas data is available at the bottom of this page. The Central Texas data has been compiled in ArcIMS. Please see http://txcoast.beg.utexas.edu/website/ricecore/viewer.htm. If you have any questions or comments about this project, please contact Julia Smith Wellner. Site last updated June 25, 2004.